RATED ABOVE ALL OTHER BRANDS! 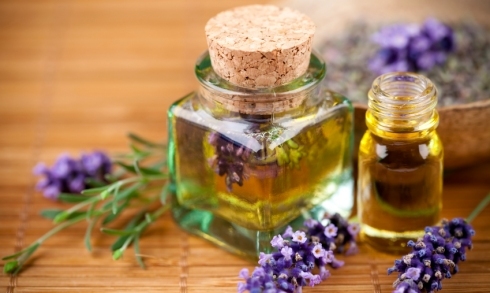 Have you experienced essential oils at the spa or in bath and body care products? These aromatherapeutic uses are only part of the remarkable essential oils story. Essential oils have been used for thousands of years for their health, cosmetic, and emotionally uplifting properties. When you drive by a field of fresh peppermint or hike through a pine forest, breathe deeply—you're experiencing the soul-soothing power of essential oils. But essential oils are more than nice scents; these powerful plant extracts are your path to the lifelong wellness we are committed to helping you discover. Jasmin Organics has always been at the forefront of bringing this ancient tradition to modern users, introducing millions to a total mind/body wellness they may never have dreamed possible. At the intersection of cutting-edge research and traditional wisdom, Jasmin formulates targeted, essential oil-based wellness solutions that empower you to dodge harmful chemicals, energize your life, ditch stress and negativity, and reclaim your natural radiance. Primarily extracted through careful steam distillation, but also through cold pressing, the purest essential oils are far more powerful and effective than dry herbs, delivering quick and effective results. Any time you hold a bottle of our powerful essential oils, you are holding the pure essence of health-promoting botanicals that can be diffused, inhaled, applied topically, or incorporated into massage. 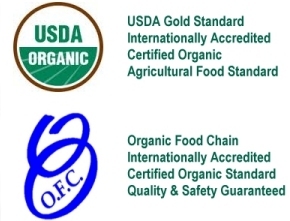 Certified to the highest agricultural organic standards, Jasmin Organics Essential oils are guaranteed to this peak standard all the way from from the growing & harvesting right through to the final packaging -- virtually unheard of in the industry! Jasmin Organics inspires wellness, purpose, and abundance by distilling nature’s greatest gifts into pure essential oils. With a commitment to plant purity and essential oil potency, Jasmin continues to grow, inspiring millions of people to transform their lives. Traditional Uses*: Gently balances the mind, body, and spirit. Traditional Uses*: Inspires optimism and liberates the spirit. Traditional Uses*: An uplifting, refreshing, and stimulating blend. Traditional Uses*: Warming, Drying, Uplifting, and Digestive. Scent: Herbal, Sweet, Fresh, Green. Traditional Uses*: Energizing, Stress-relieving, and Digestion-enhancing. Scent: Warm, Spicy, Stimulating, Fruity Undertone. Traditional Uses*: Warming, Refreshing, Digestive, and Relieves Fluid Retention. 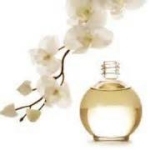 Scent: Delicate, Woody, Floral, Sweet, Light, Fresh. Traditional Uses*: Anti-Inflammatory, Soothing, and Sedating. Scent: Herbal, Sweet, Mild, Aniseed-like. Traditional Uses*: Digestive, Purifying, Soothing, and Cleansing. Scent: Radiant, Fresh, Tangy, Fruity. Traditional Uses*: Antibacterial, Astringent, and Refreshing. Scent: Fresh, Fruity, Sweet, Sunny. Traditional Uses*: Refreshing, Soothing, Digestive, and Skin-regenerating. Scent: Soft, Sweet, Woody, Balsamic. Traditional Uses*: Soothing, Calming, and Anti-inflammatory. Traditional Uses*: Digestive, Stimulating, Anti-bacterial, and Warming. Scent: Sweet, Warm, Balmy, Soft. Traditional Uses*: Cheery, Relaxing, and Aphrodisiac. 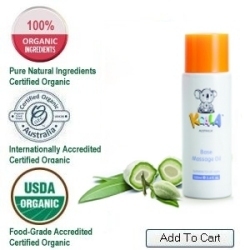 Koala Organics Base Massage Oil is a beautiful mix of mild base oils such as Jojoba and Sweet Almond, with no fragrance or scented essential oils added. This is the perfect massage oil carrier to use with your choice of any of the essential oils and blended oils listed above, for both therapeutic and general well-being results. Ingredients: Simmondsia chinensis (Jojoba) Bean Oil*, Prunus amygdalus dulcis (Sweet Almond) Kernel Oil*, Helianthus annuus (Sunflower) Seed Oil*, Sesamum indicum (Sesame) Seed Oil*, Olea europaea (Olive) Fruit Oil*, Oenothera biennis (Evening Primrose) Flower Oil*. *Note: The statements contained on this website have not been reviewed or approved by the Food and Drug Administration for their validity. Nothing contained on this site is meant to infer or state that the products are for the treatment of any disease or ailment. Always consult with your physician if you experience any medical problems.